If the new movie ‘Warrior’ is as realistic as its filming was rumored to be then we are in for a treat – for leading man Tom Hardy has been thoroughly beaten up and injured while making the new pic. 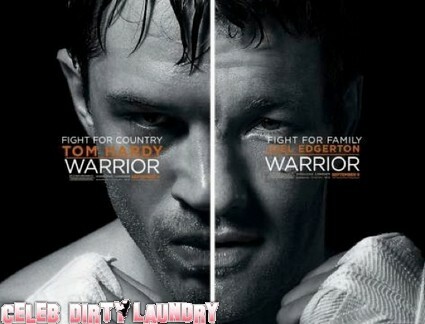 Starring Tom Hardy, Joel Edgerton, and the old warhorse, Nick Nolte, ‘Warrior’ is out this week for general viewing. Warrior capitalizes on the MMA craze sweeping the world and Mixed Martial Arts competition is nothing if not violent. The movie tells the story of Tommy (played by Hardy), the son of an alcoholic ex-boxer who trains his son for a mixed martial arts tournament. Filming was expected to be rough but even director Gavin O’Connor was shocked at all the damage the actors took while making the movie. Given the remarkable popularity of MMA it is somewhat surprising that Hollywood has yet to really hop on the bandwagon and is still making films that focus on boxing – which is rapidly losing ground to MMA. Of course it will be really difficult for the film industry using actors to seriously compete with organizations like the UFC where highly trained goons beat each other up for real. Can’t you just see Justin Timberlake in the ring with Randy Couture… .